Just pay the fees… YOu might remember i decided to avoid paying the bike insurance for Costa Rica when entering and thought i was home free when i exited immigration on the other side… well, the last line of defence got me… Just as I was about to cross, i was asked after a confirmation phone call to return to Customs to pay the nominal amount. 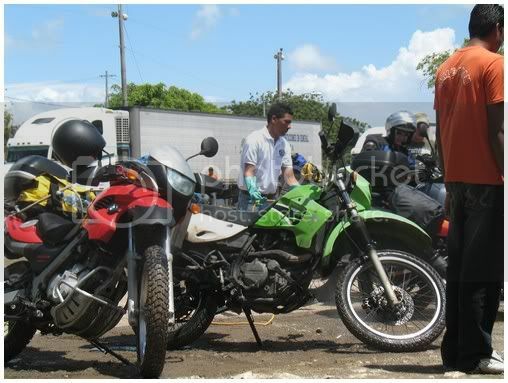 Instead i rode straight through with an attempt to seek refuge in Nicaragua. Problem.. their friends, and i couldn’t check my bike in without the situation being resolved. I was crafty enough to leave everything including bike, papers and money in Nicaragua and walked back to Costa Rica. 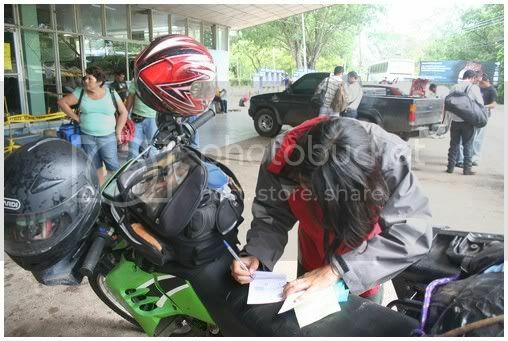 I blamed the fact that i hadnt cleared my bike with customs on a communication breakdown when entering Costa Rica, exclaiming that the woman at Customs told me i could go. Naturally the official looked for some compensation or something to confiscate but as I had nothing, he eventually let me go.. Yes, i saved $18, but it was allot of work in doing so… Claudia just loved the wait!! Before people are critical at these attempts at saving a little coin by bypassing the bureaucratic bull. Keep in mind that positive reputation for adventure motorcyclists is paramount in my actions and everything is done with a smile and a joke and simply an attempt at a break in the mundaine routine of the officials i play games with. 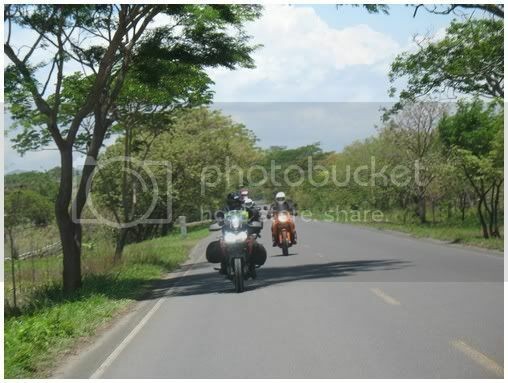 Entering Nicaragua was a breath of fresh air, legal again, i met up with some Costa Ricans on route to Mexico.. KTMÂ´s GSÂ´s and a Transalp i think, all immaculate and all quicker than i was. Its always refreshing to ride into a new country. Especially with half a dozen other beautiful machines.